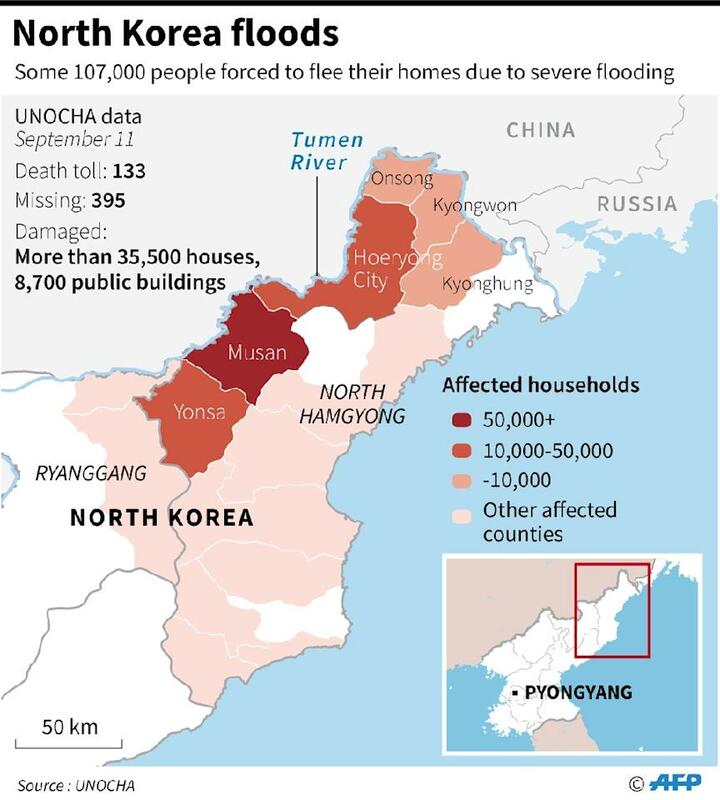 Seoul (AFP) – Floods in North Korea that have left 100s dead or missing are the “worst disaster” to hit the country since World War II, state media said on Wednesday. 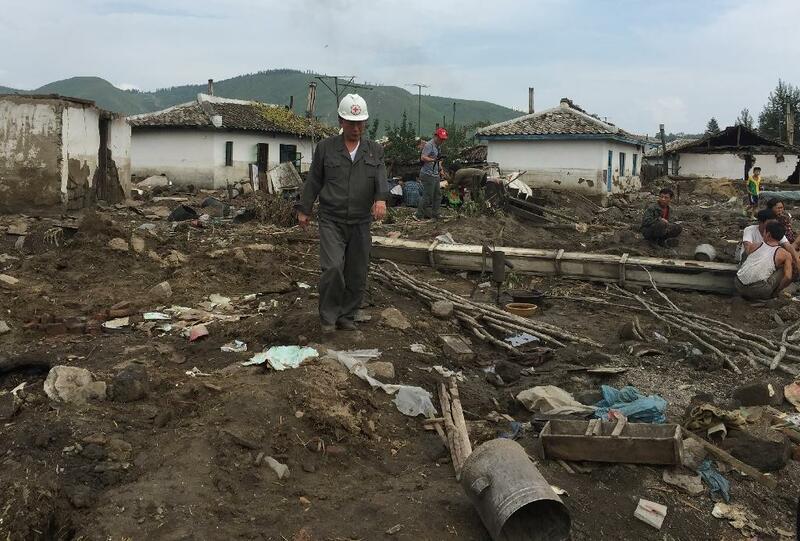 The official KCNA news agency did not give exact numbers of those killed or unaccounted for, but a UN report said 138 people have died & 400 are missing after torrential rains caused devastation in the country’s far north. The floods along the Tumen River, which partially marks the border w/China & Russia, tore through villages, washing away buildings & leaving 1000s in urgent need of food & shelter. 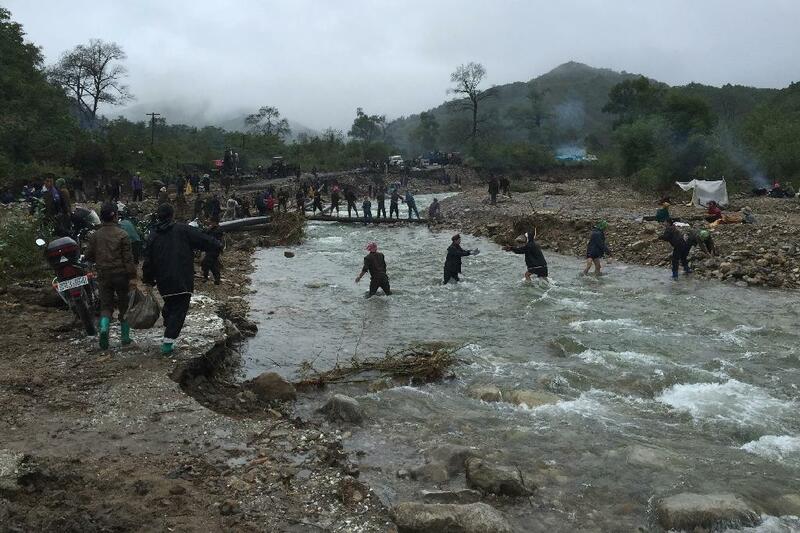 “The flood that resulted from the typhoon that hit North Hamgyong province from August 29 to September 2 was the worst disaster since liberation from Japanese colonial rule in 1945,” KCNA said. It also provided figures on the flood damage & those displaced for the 1st time, saying 68,900 people had been forced to flee their homes, compared with a UN figure of 107,000. At least 29,800 homes & 900 public buildings were destroyed, it said, adding that 180 sections of road & over 60 bridges had been severely damaged, & electricity & communication lines were cut. But the report trumpeted the role of North Korea’s ruling Workers’ Party in responding to the disaster, saying all efforts were being put into rebuilding the northeastern border region & that the military & people had responded to government calls to join rescue efforts. Impoverished North Korea is vulnerable to natural disasters, especially floods, as mountains & hills that have long been stripped bare for fuel or turned into terraced rice fields allow rainwater to flow downhill unchecked. However, huge government resources are swallowed up by a missile & nuclear weapons programme that Pyongyang says is essential to deter what it considers US aggression. A series of floods & droughts was partially responsible for a famine that killed 100s of 1000s between 1994-98, w/economic mismanagement & the loss of Soviet support exacerbating the situation. “most households were already estimated to have poor or borderline food consumption levels”. The United Nations Security Council is also planning fresh sanctions against the North after it staged its 5th nuclear weapons test last week.